Universal Flo & Hi-Flo pressure regulators from Nelson Irrigation Corporation of Australia are made from hard-wearing chemically-resistant materials and feature patented O-ring Dampening Systems to handle severe pressure surges, without creating flow restrictions under working pressures. Pressure regulators are designed to fix a varying inlet pressure to a set outlet pressure, in spite of changes in the system pressure caused by hydraulic conditions, elevation changes, pumping scenarios, etc. 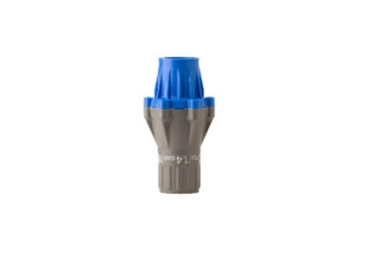 These Universal Flo & Hi-Flo pressure regulators feature extended flow range, precise accuracy with minimal frictional drag and hysteresis, and a plug resistant design.